Note: This approximate tornado path has been generated from data provided by the SPC. 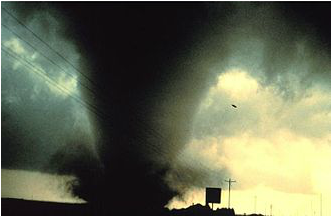 Four in a great series of 25 pictures of this tornado in the NOAA Photo Archive. I thought this tornado was an F4? Why is it listed as an F2?